Dhaka, 15 May, Abnews: Prime Minister Sheikh Hasina today urged the international community for inclusion of the persons with disabilities in the development and disaster risk management process. 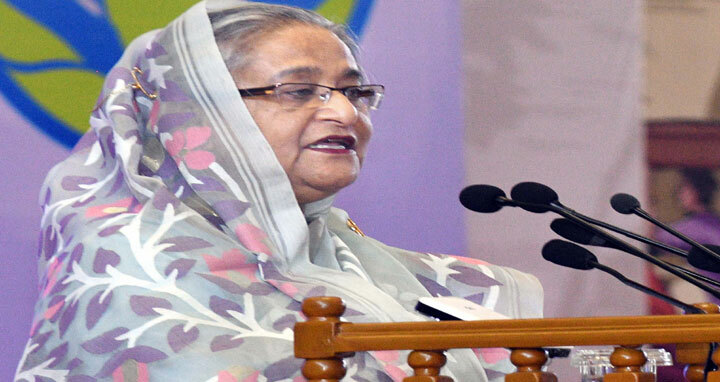 The prime minister was inaugurating the 2nd International Conference on Disability and Disaster Risk Management at Bangabandhu International Conference Center (BICC) here today. Sheikh Hasina said in order to render weather forecast and early warning massages, cell phone number 1090 as toll free IVR system has been introduced.